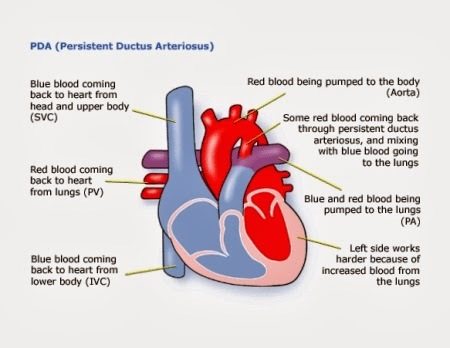 My son has had a heart condition from birth which I've talked about before, but now that he is two years old and has got to the 15kg he needs to weigh for the operation, things are starting to progress. So I've recently began to think about how best I can prepare him for this rather risky and major operation. Chunk is of the age where he is starting to form his opinions of what he does and doesn't like and has begun fearing new situations to a degree, so will cling to me until I manage to find a way to reassure him. Therefore I'm dreading this operation, because it will be in a complete different city (London) in a huge hospital, he will have to stay in a bed that's not his, and have needles, scans, anaesthetic and such like. He is a boy that knows his mind and if he doesn't want something, he won't think twice about punching, kicking or screaming at you much to my frustration! To try and ease my anxieties about this, I've been doing online research and found some useful tips from sites such as CBeebies and also an article on Nursing Center that gives advice on how to prepare children of all different ages with operations. The article says for toddlers they are at the stage of starting to be independent, and they have short attention spans (don't I know it). Their communication skills are limited, but they understand a lot more than they can say, so you are supposed to provide SIMPLE, SHORT explanations about what they will see, hear, feel, smell, taste at the hospital. I won't be talking about the surgery in itself, because he will be unconscious, so I will focus on what the hospital will be like, what injections will be like and some of the other tests they will do such as his blood pressure (even though he is used to all of these with our regular consultations). It also says you need to be quite exact, so saying things such as, "you will have an injection before lunch". I plan to take some of his toys, books and teddies that he cannot bear to be without in a bid to keep him entertained during all the long waiting times between doctor and nurse room visits, and to give him some comfort to help ease being in a scary, new place. I will also be trying to get Chunk to feel that he is control as much as possible through giving him options (this plaster, or that one?). The article advises you should only prepare them a day or two beforehand, so I will be more detailed at that stage, but in the next few weeks I am also going to put in subtle messages about being unwell and being looked after at hospital through play and reading as if even a teeny bit sinks in through this that makes it worth it in my eyes. One of the things I have found are a collection of resources from Monkey Wellbeing. The company's aim is to educate children of all ages about healthcare and different procedures to help reduce their fears about having treatment. I was fortunate to be given some books to test with Chunk that were relevant to his operation, and we love them! The books have just the right amount of words to pictures, and the photos are brilliant because they are of the actual hospital settings. The monkey is the main character who is seen having injections, check-ups, operations and even preparing to start school in the range of books. We were sent "Monkey Has A Blood Test", "Monkey Has An Operation" and "Monkey Has An Injection". These are all going to be things he will face, both in the lead up testing to see if he is ready for an operation, and the procedure itself. My favourite thing about these books is that they contain activities that engage the child and get them thinking about what hospital is going to mean for them in a positive way and show you the different hospital staff you may meet and gives details about each machine that might be used. Chunk enjoyed seeing what monkey was getting up to, and pointing out all the different things that were being done to him. 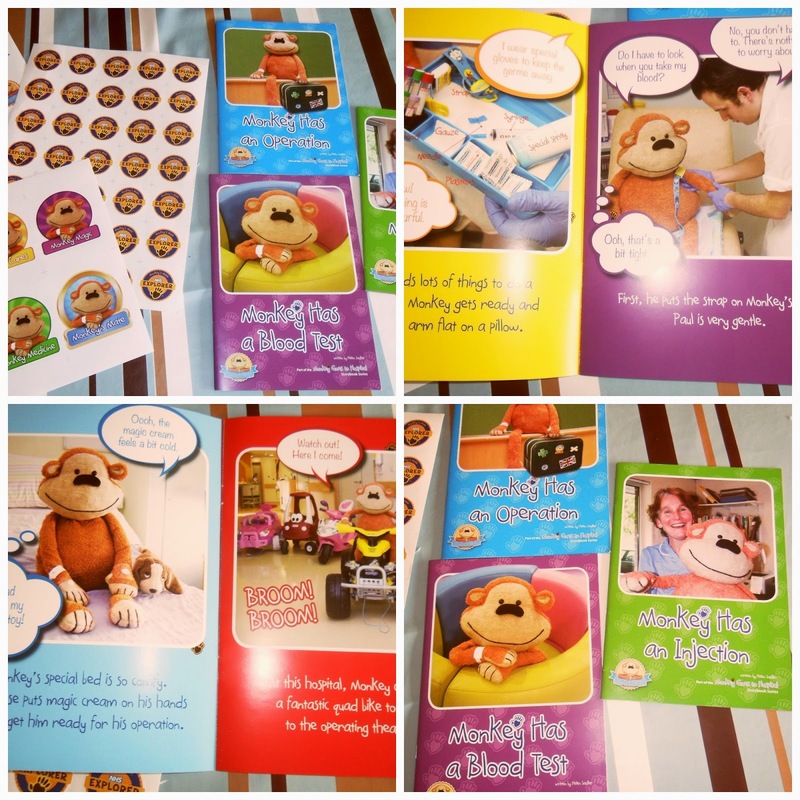 Activities that came with the books included NHS reward stickers which the child gets awarded each time they complete an activity, and you can even get a toy monkey to help read the story (added this to my wish list!). I think these books will also be coming on our hospital adventure, and they will be going to all tests and check-ups we have in the lead up, as this might help Chunk link the books to his real life. Another great thing I am trying is a toy. 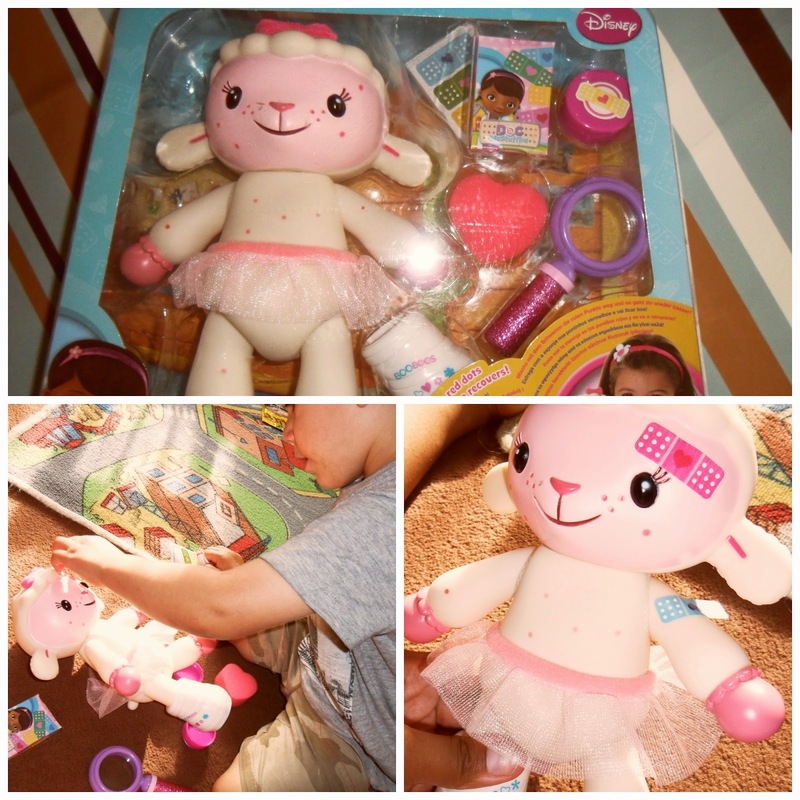 Flair's Doc McStuffins Spotty Lambie Playset is a Disney toy designed for boys and girls from the age of three, and includes a toy lamb, sponge, plaster cast and plaster stickers. Lambie is poorly so needs to be looked after. She has spots all over her face and tummy, so Chunk has been using his special sponge to rub them away, before putting on "invisible cream" from the pink pot and adding some plasters. It's so sweet watching Chunk get into carer mode. As soon as we opened the toy and I explained the Lambie was poorly, he immediately took it upon himself to play doctor. He got his toy doctor's kit out and began testing her, before I showed him how he could rub her poorly spots off and give her bandages and medicine to make her feel better. It's a great toy, because it's a well-made lamb that appears as if it will be able to endure against the toddler elements of being thrown, "healed" and operated on (it did worry me when Chunk got his toy builder's sword and attempted to "cut out her hurt"). Lambie may well also go with us to each hospital visit as I may try to get our doctors (maybe not the patronising, rude, snobby one) to also look at Lambie when they scan Chunk. I was given the Monkey Wellbeing resources and Spottie Lambie Playset to test as part of this review. No payment was received, so all opinions are honest and my own. What a tough time for you, but it sounds like you are doing all the right things and being a fantastic mum. I can understand you pushing your own feelings about it to one side for the moment, it must be terrifying. Those books look brilliant, what a fantastic resource. Thank you so much for linking to #ThePrompt and huge apologies for being so late commenting, it's been a very busy couple of days! Thanks for commenting, yes the books are fab, and I'm sure I will be terrified as soon as I get the date! Two in one week?! wow you are far stronger than me! Glad they are both on the mend and thanks for the reassurance, much needed! It's a tough and scary time when our little ones need hospital care, and I think anything we can do the prepare them is really helpful. Sounds like a tough time for both of you, but at least you're doing all the right things by explaining what's going to happen and using these fabulous resources. In my previous career, I used to do diagnostic tests in a local hospital and always found that the parents were way more stressed than the kids! Poor Chunk. I hope you're ok - it must be tough.